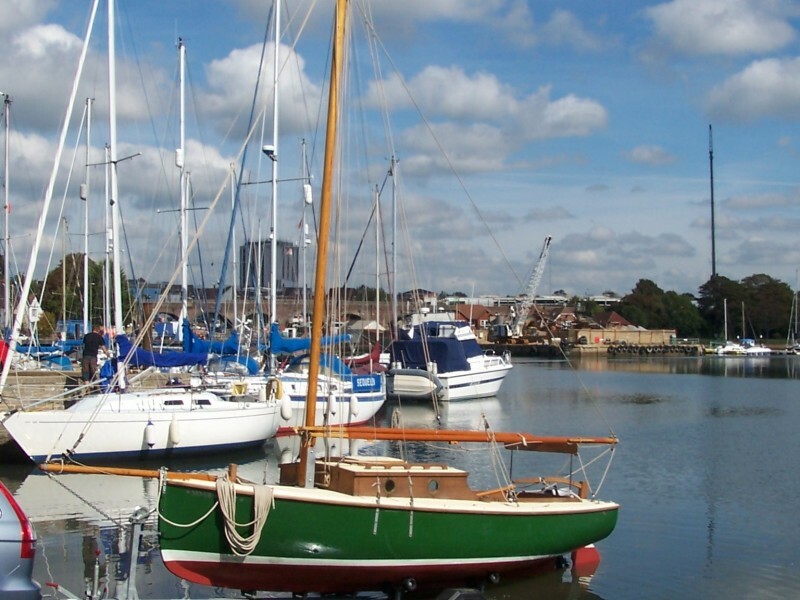 Leisure 23 Teko has been in currant ownership for many years, based in Fareham Creek. Mariner outboard. 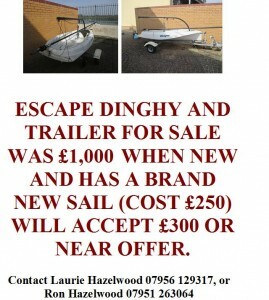 grp dinghy. 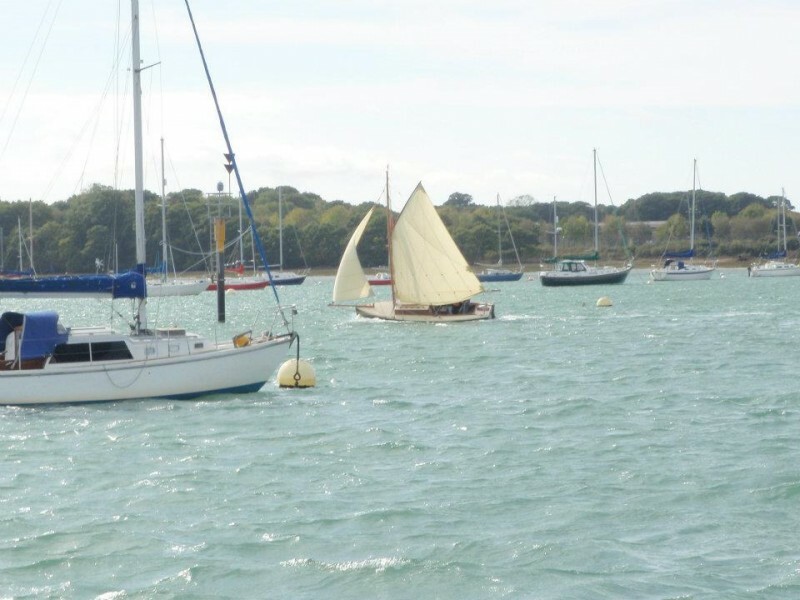 Owner retiring from sailing. 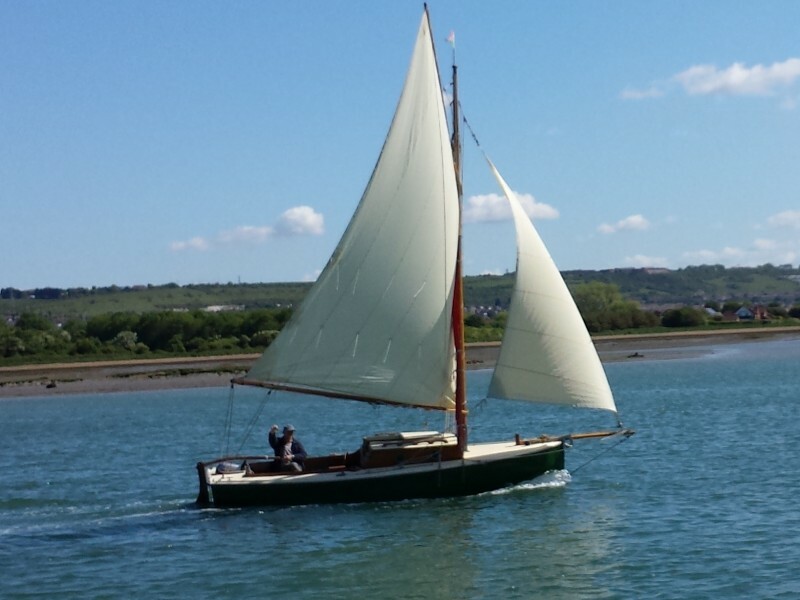 Many extras, looking for a family to love this lady and to start sailing. 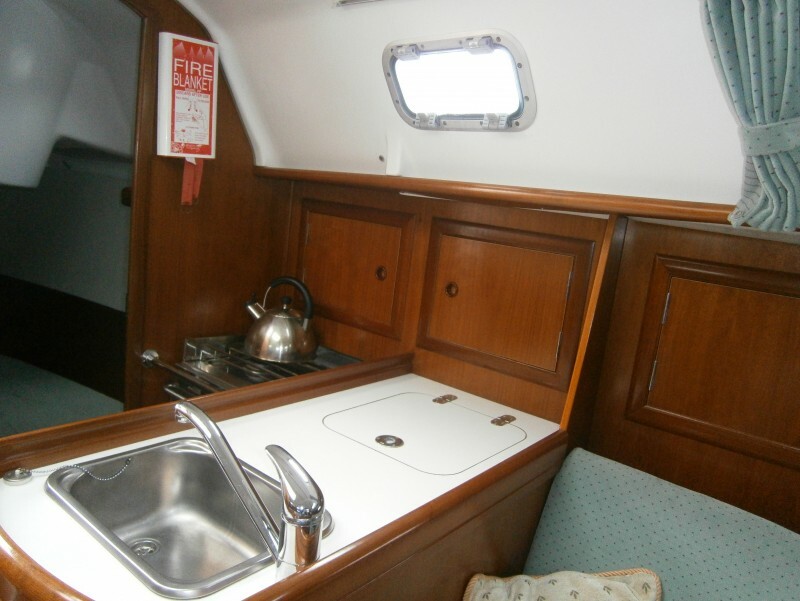 For sale due to illness is my much loved but neglected swing keel Jaguar 22 yacht “Crispian”. 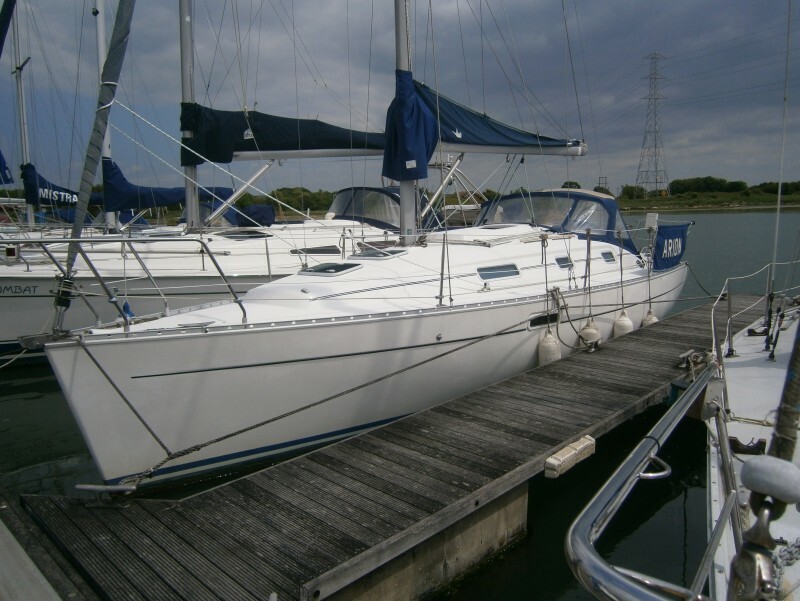 She was in a similar state when I got her and took me approximately 2 weeks’ work to get her looking good.The Jaguar (also called the Catalina) 22 is the perfect beginner yacht for those looking to start sailing or make the transition from a dinghy to a bigger boat. 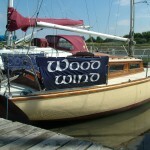 It handles well, points high to wind and is very easy to sail. It is also pretty quick for its size. 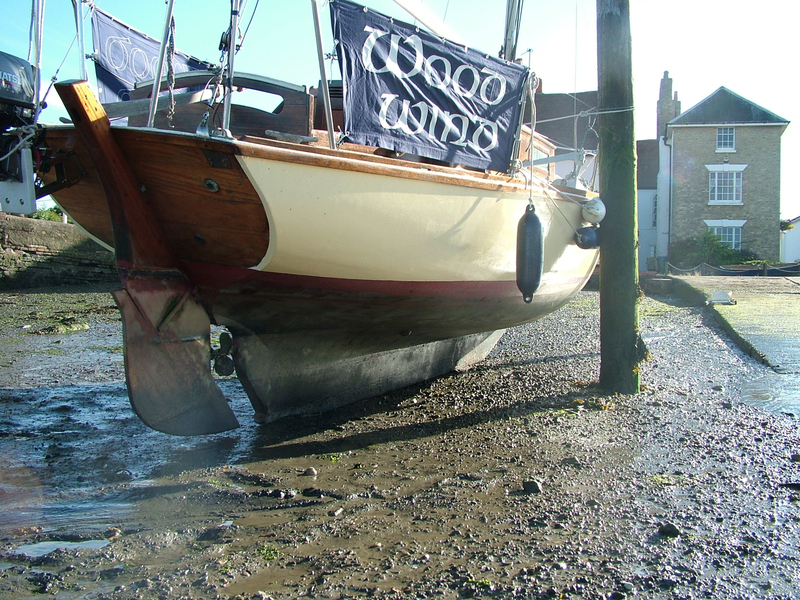 As she’s a swing keel you can safely venture into shallow areas and it can also dry out comfortably. 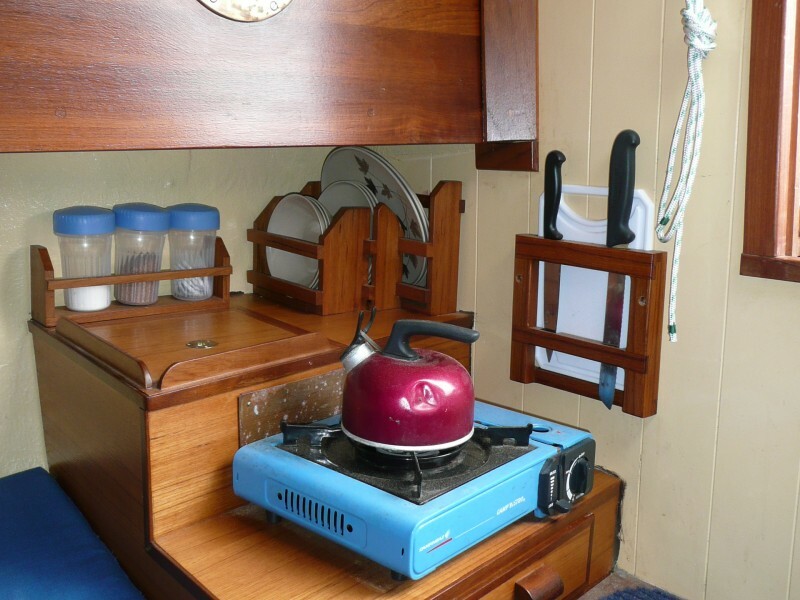 It has a large cockpit that seats 6 and with sleeping accommodation for 5 but I’ve only ever used it as a day boat. 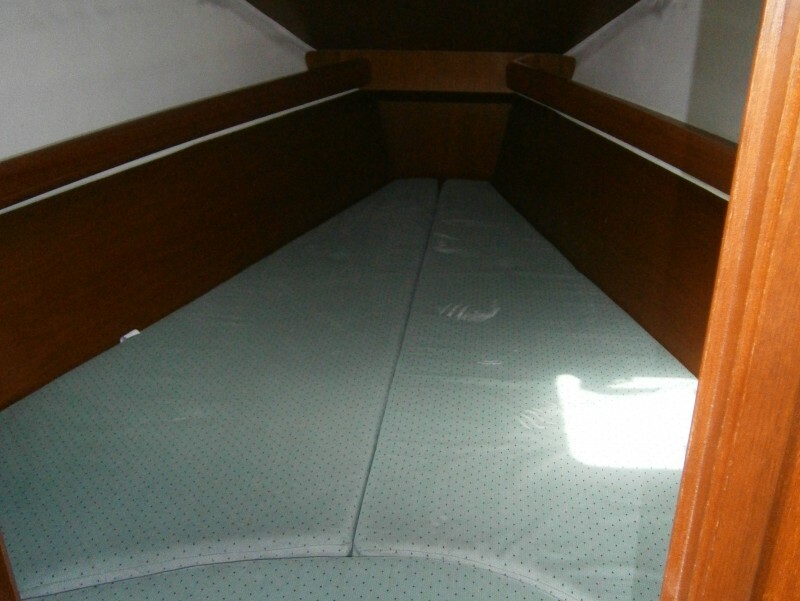 Note: No roller reefing as shown in this picture. 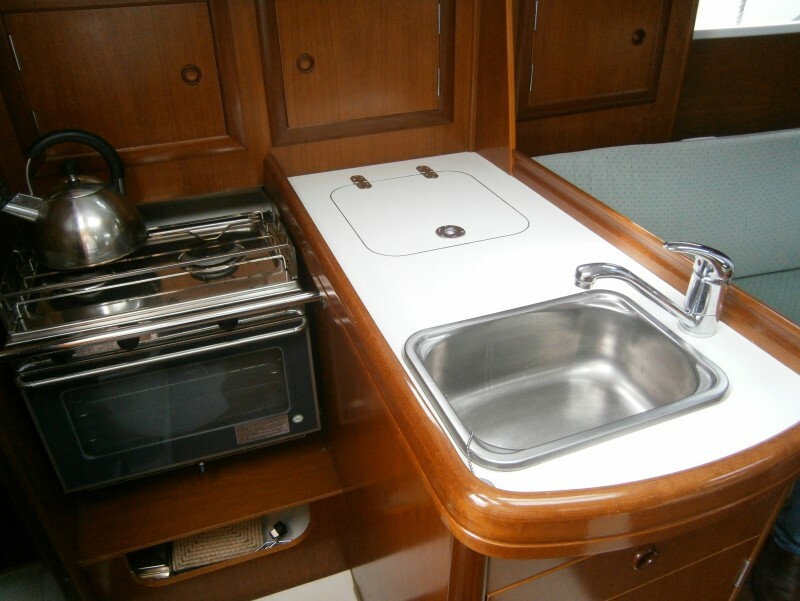 5 berth: double in forepeak, 4 seater table that converts to double bed and a single. 6 large lockers under seats. 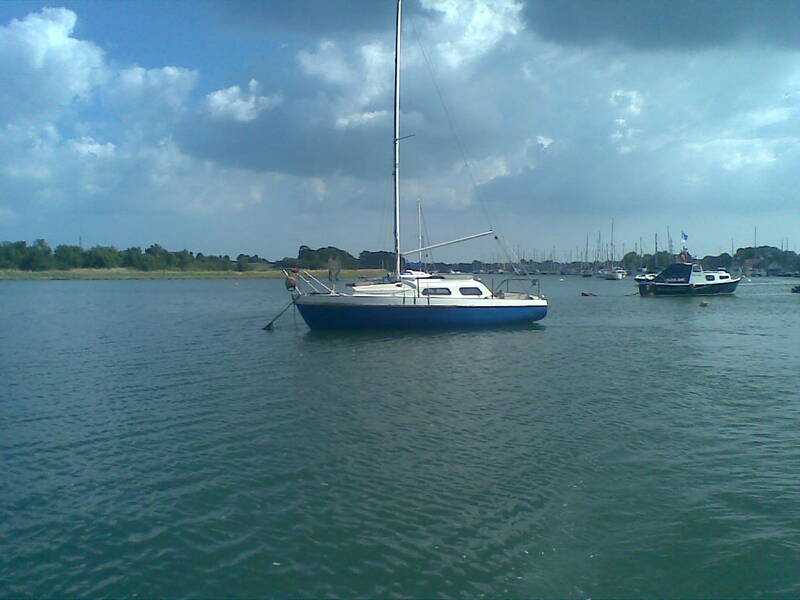 For sale a 2001 Beneteau Oceanis 311 lifting keel. 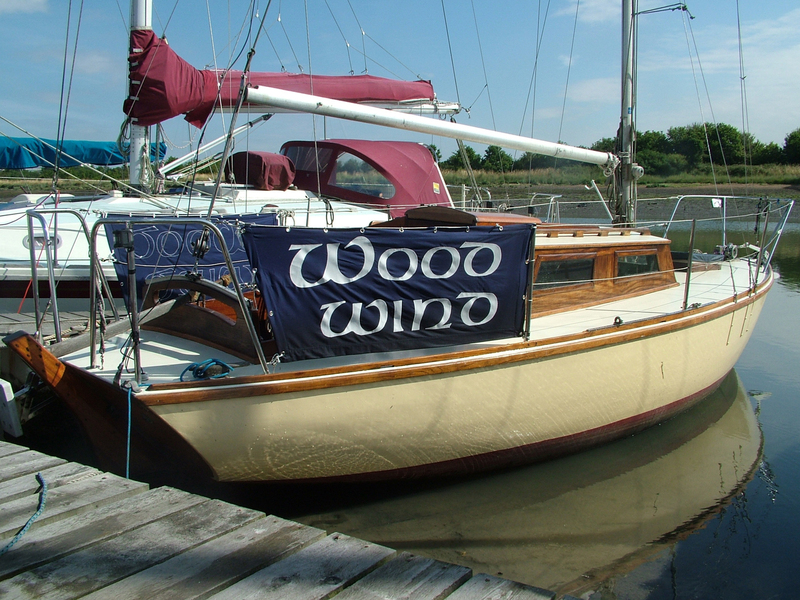 A good sturdy cruising boat. 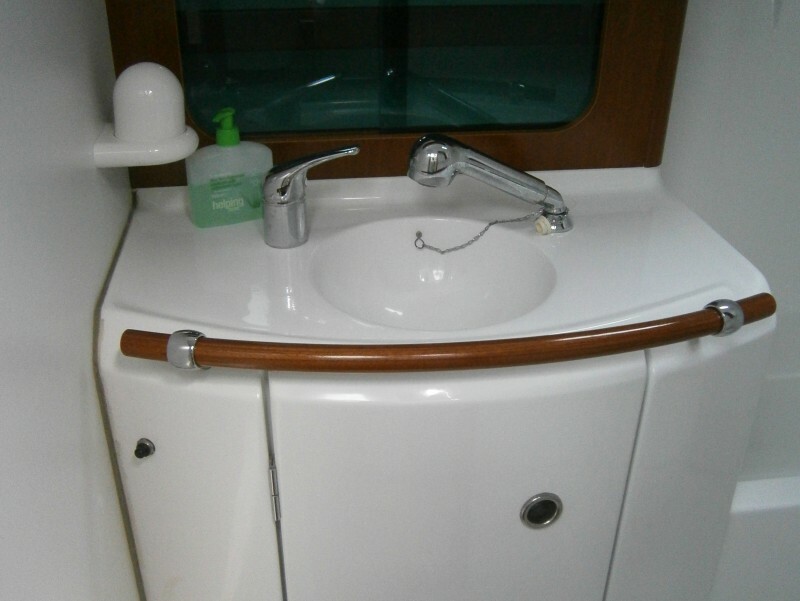 The owner is abroad and the vessel requires refurbishment. 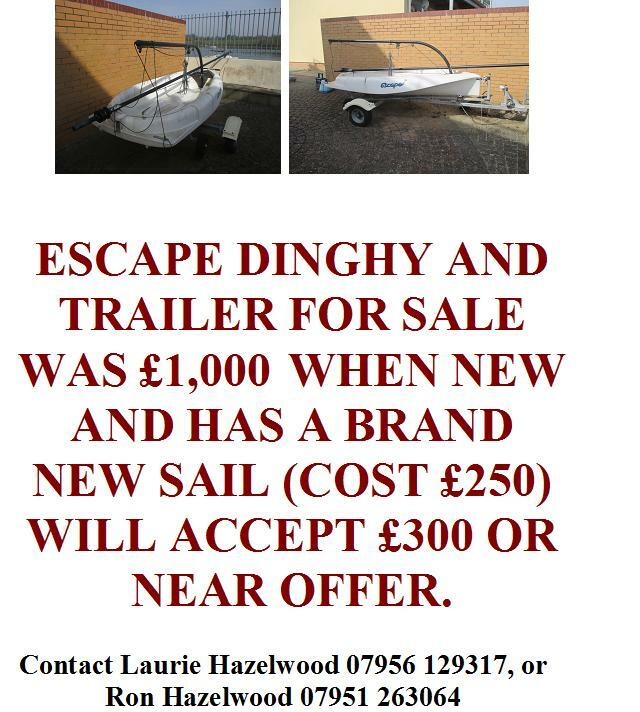 Phone 01329-282820 for further details. Length overall: 32.33 feet. 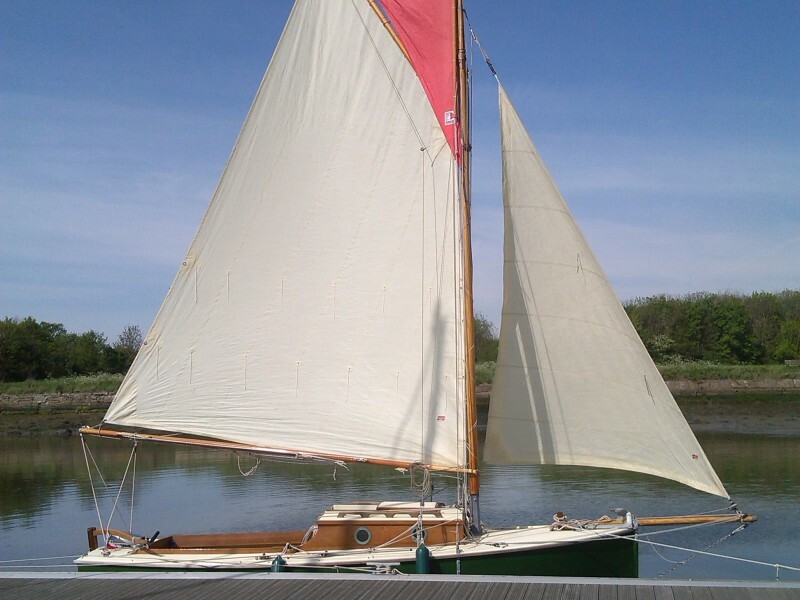 Draft: 2.5 foot / 8 foot, Lifting Keel. 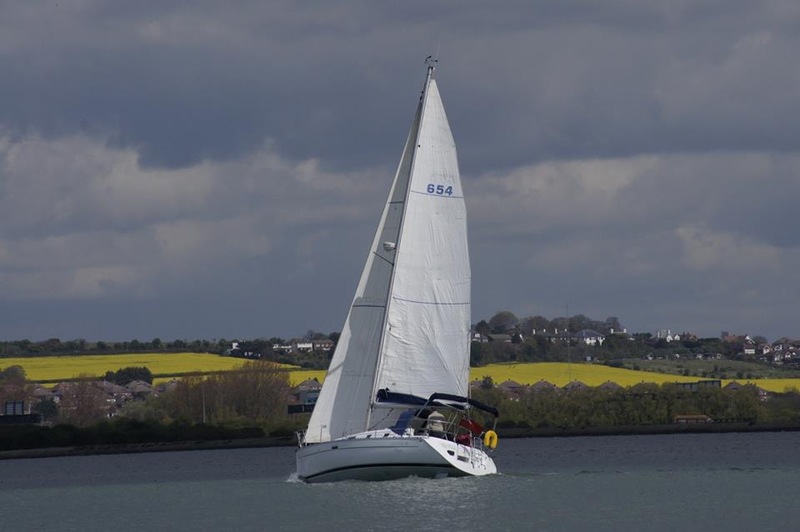 Oceanis Clipper 311, lifting wing keel, twin rudders, slab reefing and wheel steering with shaft driven Volvo MD2020 18HP diesel inboard engine. 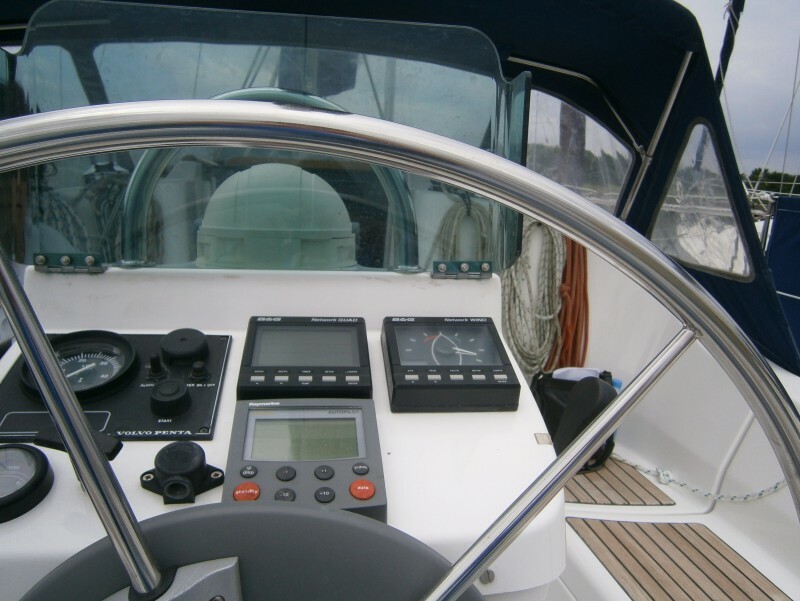 Her specification includes autopilot, VHF and mid ship cleats. 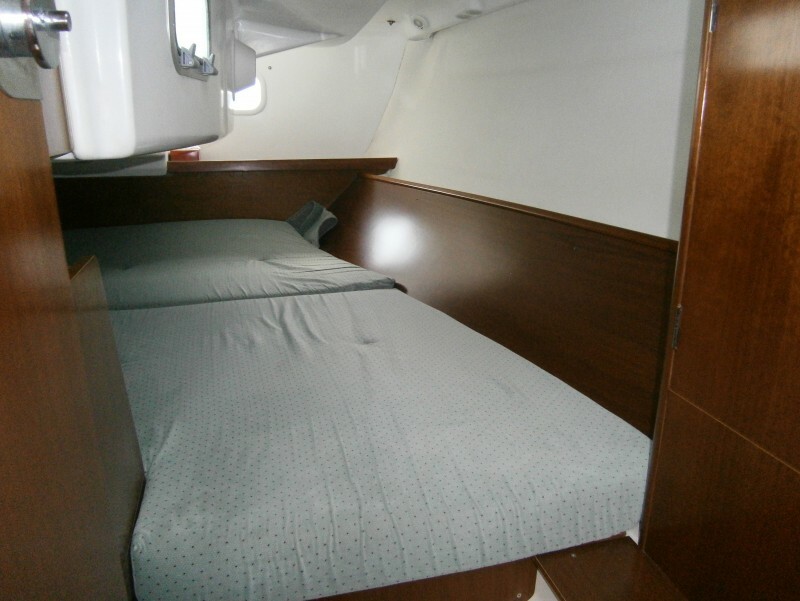 The accommodation on this Beneteau Oceanis 311 offers 7 Berths, double berth in stern cabin, double berth in forepeak, double berth and a single berth in the saloon, with 1.8m headroom, Eberspacher heating, twin burner cooker, Sea toilet in separate compartment with shower and washbasin . the ability to dry out. Complete new rigging May 2014, with guarantee. Beam: 3.23 Metres 10.60 ft. 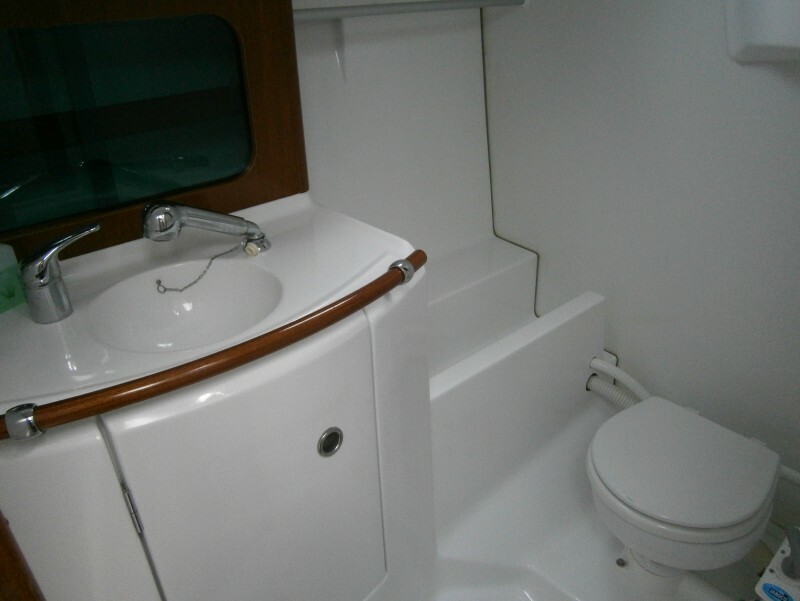 Overall Length:9.85 METERS 32.32 ft.
Down below the cabin has 2 full length bunks and a Galley comprising water storage, sink, single gas burner and galley storage. 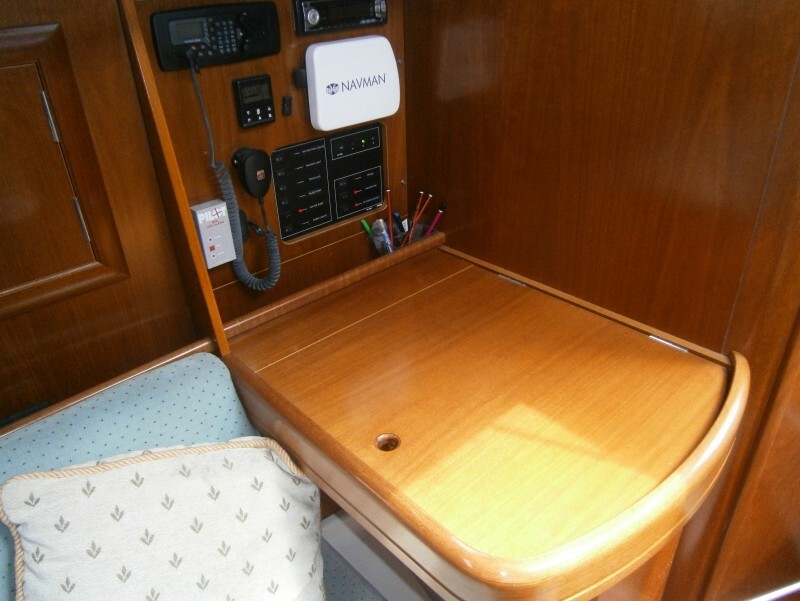 A small battery services the depth sounder, LED cabin lights and is charged via the outboard motor charger. 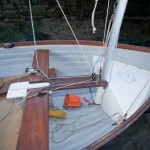 Cream Jib (2006) set on Wykeham Martin furler. 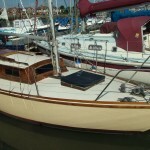 Mast is deck stepped with a retractable bowsprit. All varnished yearly. 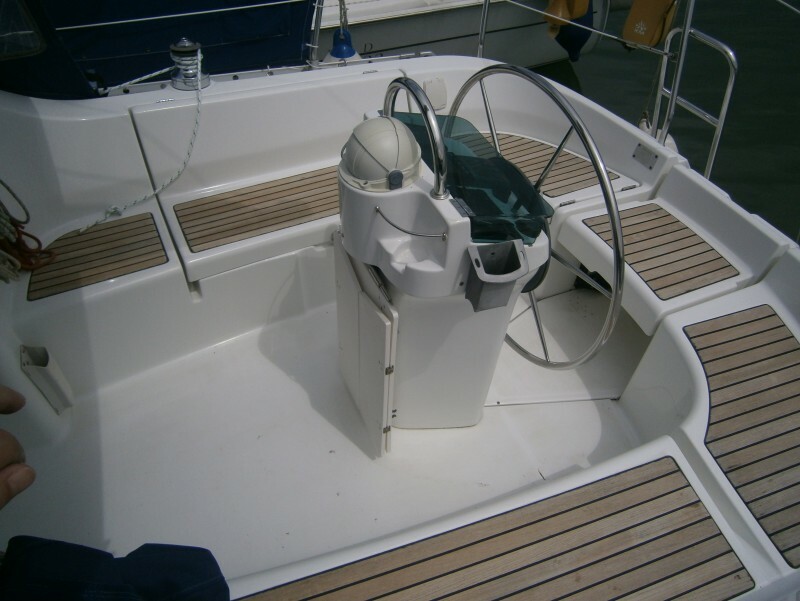 Cockpit has a removable teak table and fitted depth sounder. 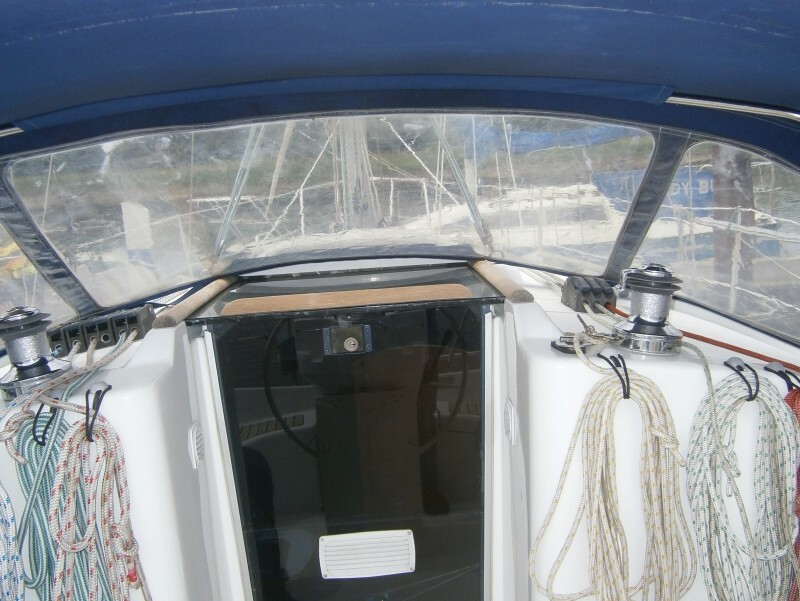 Antifouled April ’14 – Rigged and ready to sail away. 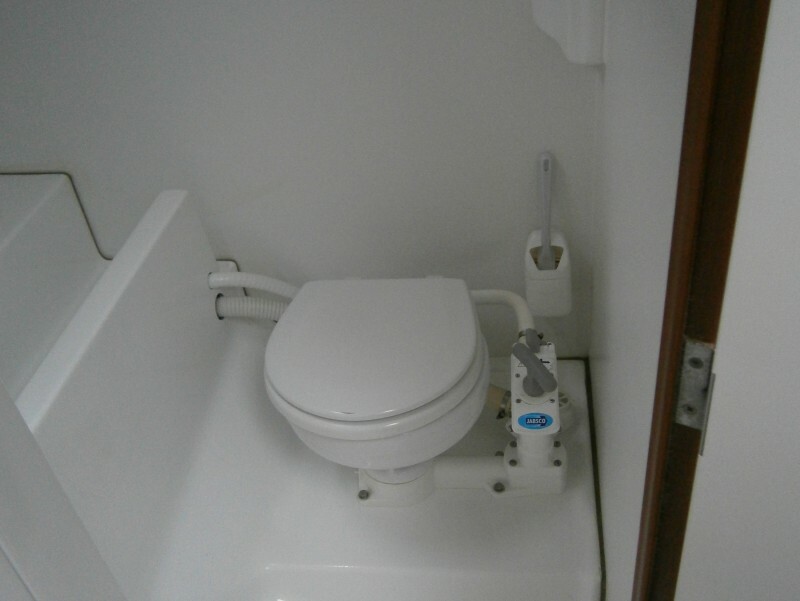 Braked trailer is also included. (2006) Lightly used and in good condition. The vessel is in general excellent condition and is regularly club raced. Currently in commission and berthed afloat on walk shore mooring. 7’10″ beam 2’6″ draft. 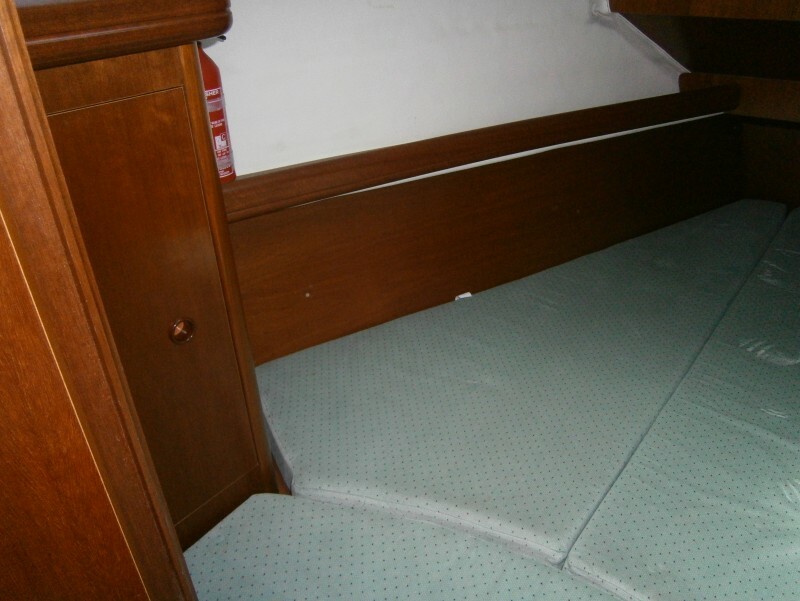 She has 3 berths. 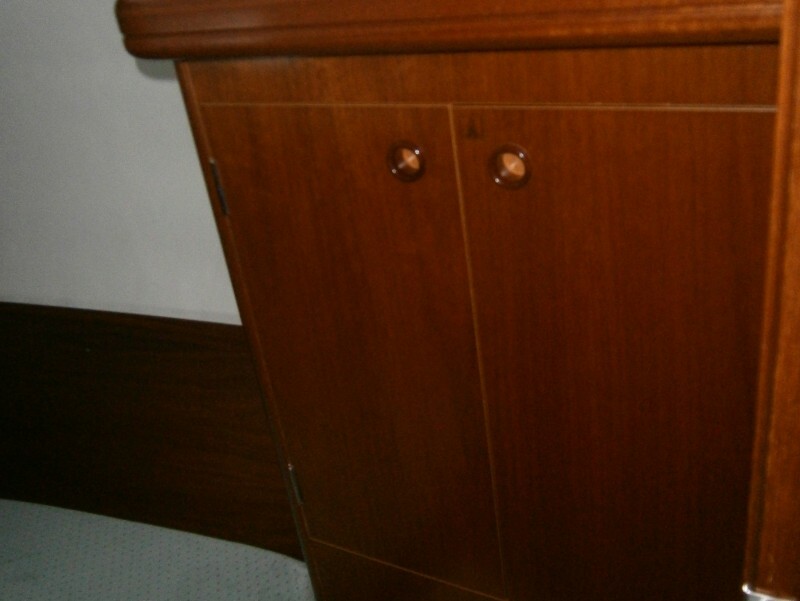 Constructed mainly in mahogany, Iroke and oak in 1961. 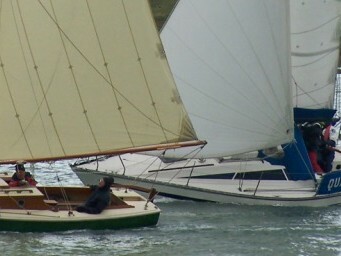 Long keel with integral drop keel. 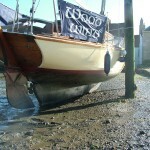 Aluminium deck-stepped mast, with stainless steel rigging. 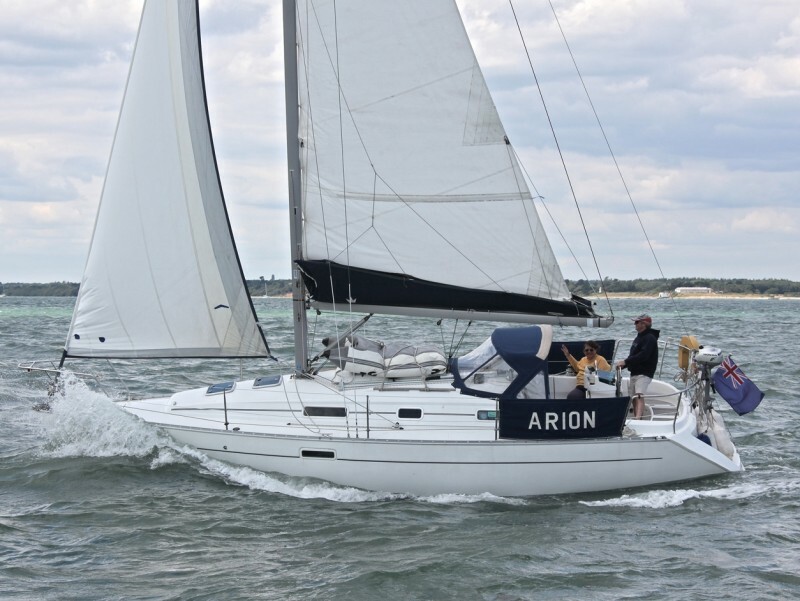 She sails beautifully and was successfully club raced by her previous owner. 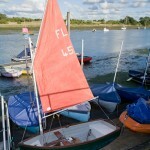 Main and 2 forsails included. We’ve had her about 8 years but not used her for the last couple of years or so due to ill health. 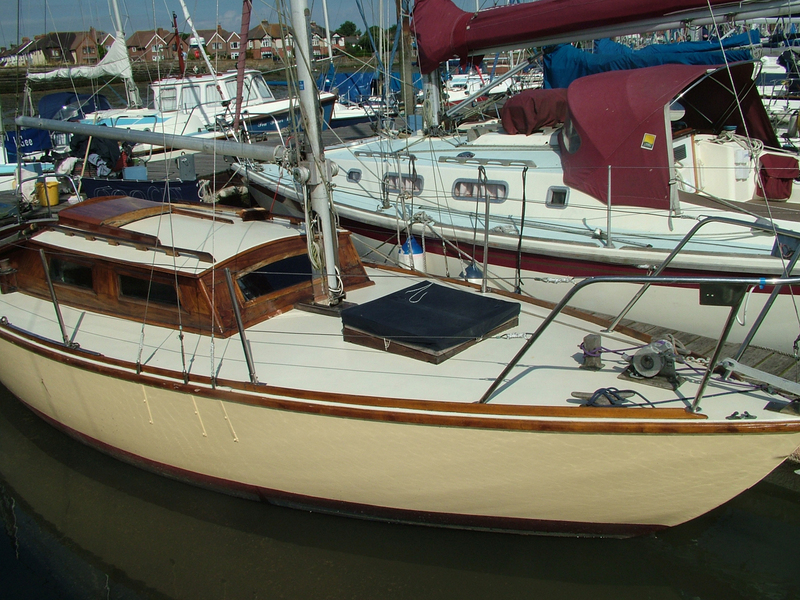 This season Woodwind’s hull and deck have been painted, she’s been anti-fouled and varnished. She has new covers and dodgers, but there are still jobs to do. 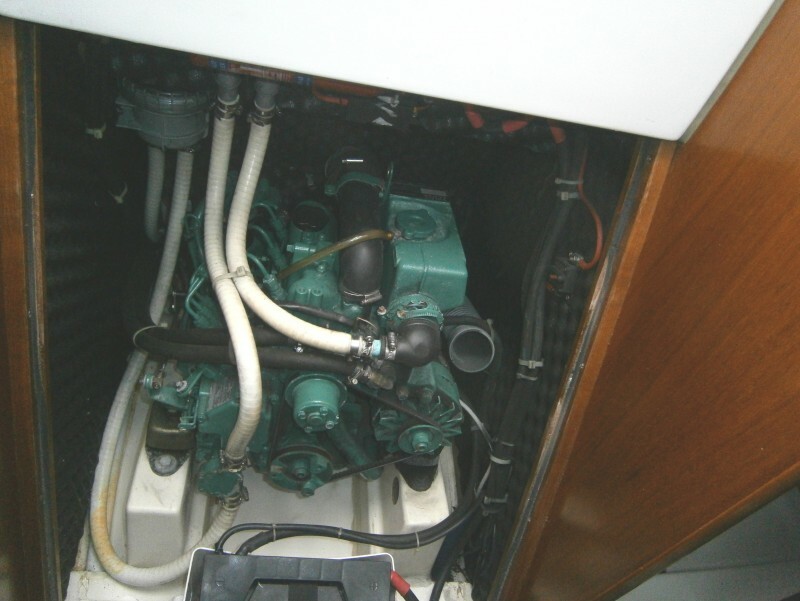 Originally fitted with a 4 hp Stuart Turner engine, this has been removed to fit a Yanmar 1GM10 (with gear box) inboard engine (not fitted). Prop and shaft still in place. 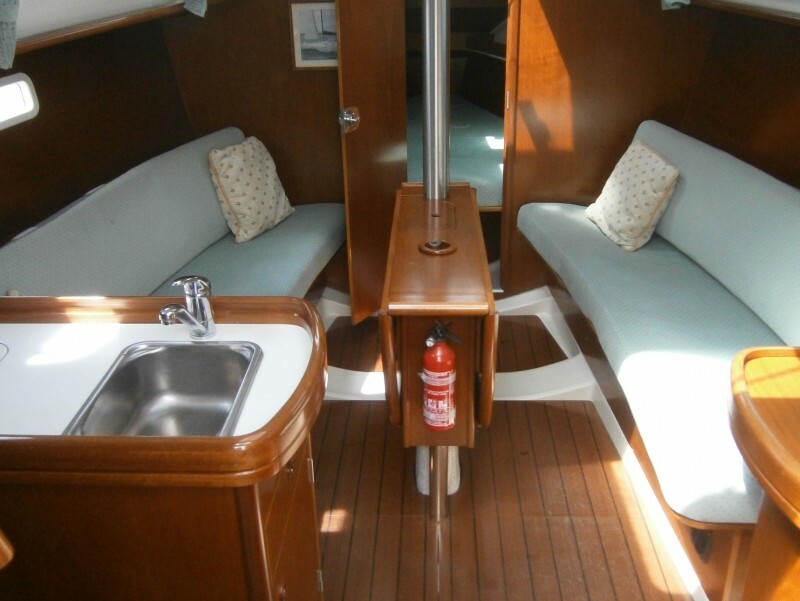 We’ve been using an Evinrude 6hp twin yachtleg and Seagull 102 Plus outboards. Any or all of these engines are available if required, not included in the price. 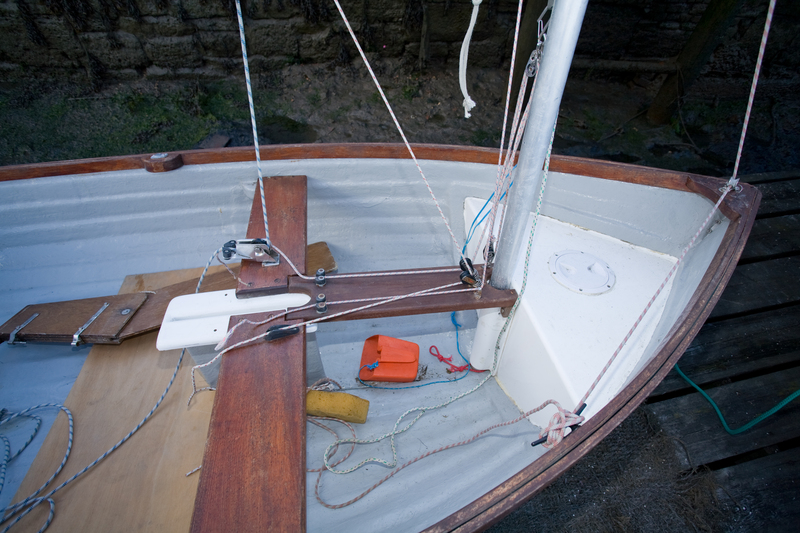 Other maintenance work and checks are needed before sailing her – e g rigging, drop keel etc. If you’re interested please call Mel Carpenter for more information and/or to view. She can be seen on the club workshop pontoon until 17 august after which she’ll be on her berth on PME pontoon. 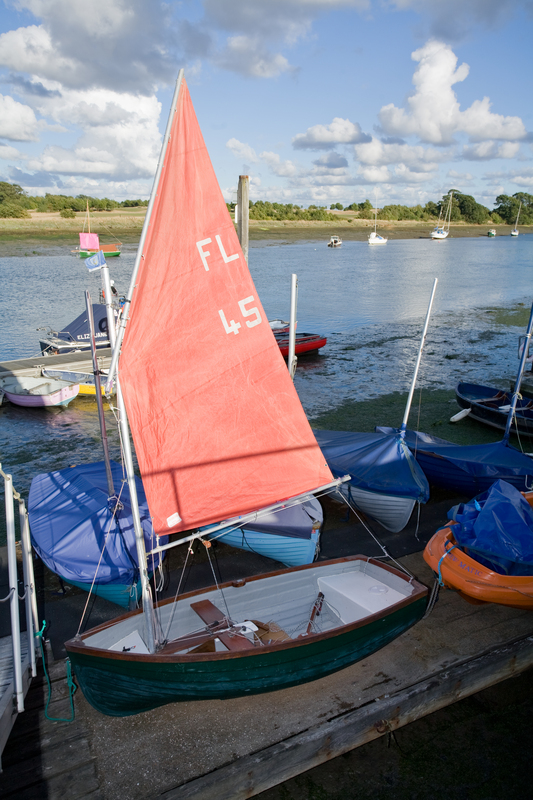 There is a half tide mooring available locally if required.